As an owner-managed agency, Grothe Medienberatung has been successful in political communication since 2005. We work at the interface of politics, media, digital economy and science and deal intensively with digitization and media convergence. Grothe Medienberatung has reliable contacts to important players in politics, economy and science, long-standing experience in strategic communication and public affairs as well as comprehensive expertise in managing complex projects. Grothe Medienberatung offers professional expertise, operational skills and excellent networking. Making knowledge accessible – developing strategies for action – organising discourses: These are our areas of competence. The conception of political communication projects is a matter of trust. Close coordination with our clients, immediate feedback and absolute discretion are the foundations of our work. relevant stakeholders. We take care of issue management, prepare synopses, expert opinions and position papers. Successful public affairs works are always two-sided; achieving mutual understanding of each other's positions among politics and enterprises is essential for political communication. We make sure the relevant arguments are recognized and take care of credible action strategies. Grothe Medienberatung manages political communication projects. We establish and support stakeholder networks, develop public affairs strategies and narratives. Internal workshops and coaching on media policy and media law are also part of our portfolio. The public sphere lives from dialogue. Companies and politicians have to engage in public discourse in order to promote their positions and plans. Grothe Medienberatung takes care of the conception and implementation of events, be it workshops and expert talks in small groups or larger meetings and conferences. We also develop and write newsletters, monitoring reports or client alerts and support our partners in press and public relations matters. Grothe Medienberatung works in the dynamic field of the media and creative industries as well as the digital economy. data protection, platform economies and Internet governance. We are concerned with the meaningful networking of stakeholders and the recognition of future social challenges. Our clients include well-known private and public media firms from Germany and abroad, infrastructure providers and firms in the digital economy. We also support public authorities, regulators, foundations and international consulting and investment firms. Our top priorities are reliability, prudence and confidentiality. 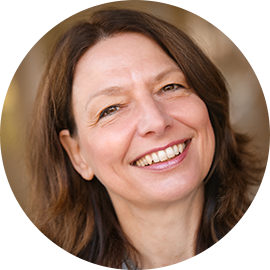 brings her many years of experience in PR and communication as well as in the development and implementation of international conferences on media and education to the work of Grothe Medienberatung. Some of her previous positions: Head of cultural and public relations at Bertelsmann Buch AG, project manager at the Bertelsmann Foundation and assistant professor at the Hochschule für Musik, Theater und Medien Hannover. Friederike is a graduate of the German School of Journalism in Munich. 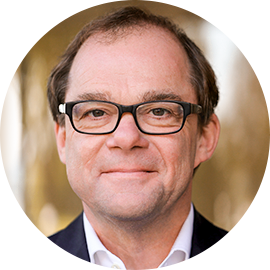 relies on his profound knowledge of the German media market, of the framework for communication and of his extensive media policy network in consulting the agency’s clients. Prior to founding Grothe Medienberatung, he was responsible for corporate communications and media policy at RTL media group in Cologne and held various positions at the Association of Private Media – VAUNET (then VPRT), including as its deputy managing director. Prior to that, Thorsten was project manager in the media division of the Bertelsmann Foundation. Filter bubbles: Why don’t we let them burst, finally! All of us like to believe in good stories, including journalists. One of these stories, which is enjoying everlasting popularity, is that of filter bubbles and echo chambers into which social networks drive us and which we can’t escape. According to Adrian Lobe, as he wrote in the Süddeutsche Zeitung on Monday, social media manipulate users by their “like” machinery and condition them through reward mechanisms in order to keep them on the platform for as long as possible. The alleged means of those mechanisms: Always offering more of the same to users, reinforcing their views or inclinations. If you eat the same soup every day, you'll begin to love it, Martin Walser once wrote. If you use social networks, you'll always get what you already know, only a little more pointedly each time due to the sophisticated recommendation systems, Adrian Lobe says. In the end, many people would live in filter bubbles, the critical public would suffer and the corporations would benefit from "the fact that the axe is put on the roots of democracy”. Really, not a bad story. However, it's not true. On the same Monday we read at trade journal “werben & verkaufen”: "Media filter bubbles are overrated". The paper reports on a recent study by political scientist Matt Grossmann on behalf of the Knight Foundation. The study concludes that far fewer US citizens than assumed actually live in a media filter bubble, not even many of those who claim to do so. And, in fact, the more one investigates the alleged filter bubble phenomenon, the more sources emerge that show that there is no scientific evidence for its existence. This applies not only to the USA, but also to Germany. Birgit Stark from the University of Mainz, for example, writes that the conditions for filter bubbles are not met for broad audiences. And she is by no means the only one who comes to such a conclusion. Sealing off and polarization effects commonly associated with filter bubbles, can sometimes be observed only among small groups on the political fringes of society who voluntarily surround themselves with like-minded people in “echo chambers”. The vast majority on the other hand, obtain information through various sources rather than exclusively through social media. Internet users draw on even more sources of information than the offliners of the population. So there is a lot to be said for bursting the filter bubbles and turning to new stories that are closer to reality. This includes, for example, the question of how interested circles can be prevented from abusing the social media in a strategic manner because they want to disintegrate society. Or the question of how to make the public even more aware that the most reliable fact-checking is done by journalists who have learned their trade. At any rate, the democratic public sphere is robust enough for honest discussion. The UNESCO Internet Governance Forum (IGF) 2018 in Paris ended last week with a wide range of conclusions. On 171 panels, about 2000 participants had discussed cyber security, development and innovation, participation, new technology, further development of internet governance, human rights and mainstreaming as well as media and content for three days at the IGF. French President Emmanuel Macron launched a call for more legal and data security on the Internet in Paris. A Memorandum of Understanding was signed by all EU Member States, among others. Next year Germany will host the IGF's annual meeting, which will take place from 25 to 29 November 2019. But the debate in Germany will continue as early as 27 November 2018. Then the X. Internet Governance Forum Germany will take place in Berlin. Among other issues, the event will also deal with the state of freedom of expression on the Internet. More than 1000 citizens, firms and associations took part in the online consultation on a discussion paper that aims to further develop the Interstate Broadcasting Treaty into an Interstate Media Treaty. The Broadcasting Commission of the Lander had issued a respective invitation and is now analyzing the various comments. In addition, it will hear affected parties in expert talks during the winter months. The planned Interstate Media Treaty is essentially about the following. Firstly, the licensing regime for broadcasting is to become more flexible and liberal. Secondly, platform regulation is to be extended to all user interfaces that structure access to broadcasting; a privileged rule for finding certain content is also under discussion. Thirdly: media intermediaries shall be included in the regulation of the Interstate Treaty, transparency rules and non-discrimination requirements have been proposed for them. Btw: There are still a few square [brackets] in the draft which indicate a lack of consensus among the Lander – observers are curious as to whether and how opinions will change after the analysis of the submissions. Twitter is often seen as a kind of mood barometer, even by journalists and politicians. But who actually creates the mood? Dr. Sascha Hölig, Senior Researcher at Hans Bredow Institute in Hamburg, compared active twitterers with the total population on the Internet. The groups differ significantly from each other: active twitterers have stronger personalities, they are more extroverted and less anxious than the other Internet users - and they have a higher tendency to narcissism. Men are strongly over-represented. The political orientation of active twitterers is broadly distributed and includes a significant proportion of extreme left and right positions. The other Internet users, in contrast, group themselves more homogeneously around the political center; extreme orientations are the exception here. Hölig's conclusion: Twitter is "rather unsuitable as a barometer of mood for the concerns of society". 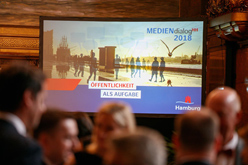 In the digitalised communication about politics and society, imbalances have occurred - at the Media Dialogue Hamburg 2018, possible solutions were discussed intensively. Hamburg's first mayor, Dr. Peter Tschentscher, had invited top decision-makers from the media and communications industries. The focus was on the responsibility of content providers, advertisers and digital intermediaries for shaping a democratic public sphere and safeguarding journalistic diversity and quality. The discussion revolved around the current priorities in media policy: the proposal for an Interstate Media Treaty, the planned e-privacy regulation of the EU and the relationship between public service broadcasting and private-sector providers. Keynote speaker at the Senate reception in the City Hall was US professor and technosociologist Zeynep Tufekci. Also op-ed writer for the New York Times, she has received international recognition with pointed contributions on the effects of social media, algorithms and artificial intelligence. 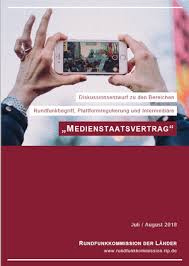 Grothe Medienberatung supports the conception and implementation of the Media Dialogue Hamburg.